If you know me then you know that my mission in life is basically to find the best coffee creamer possible. I have officially decided that in order to do so I just have to make my own. IMO some things are worth the effort and others are not. 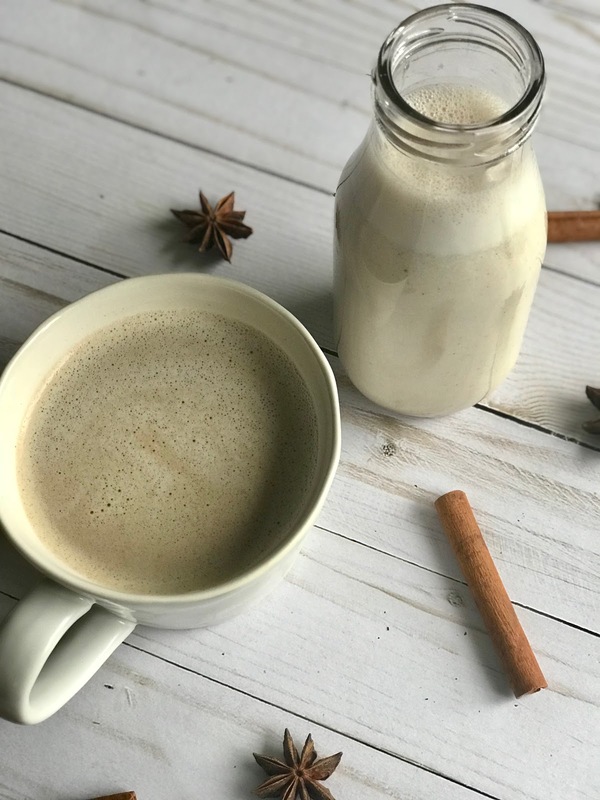 This coffee creamer is worth the effort! And let me just tell you that it takes about 7 mins to make a weeks worth! Bonus... there is no crap in this recipe! 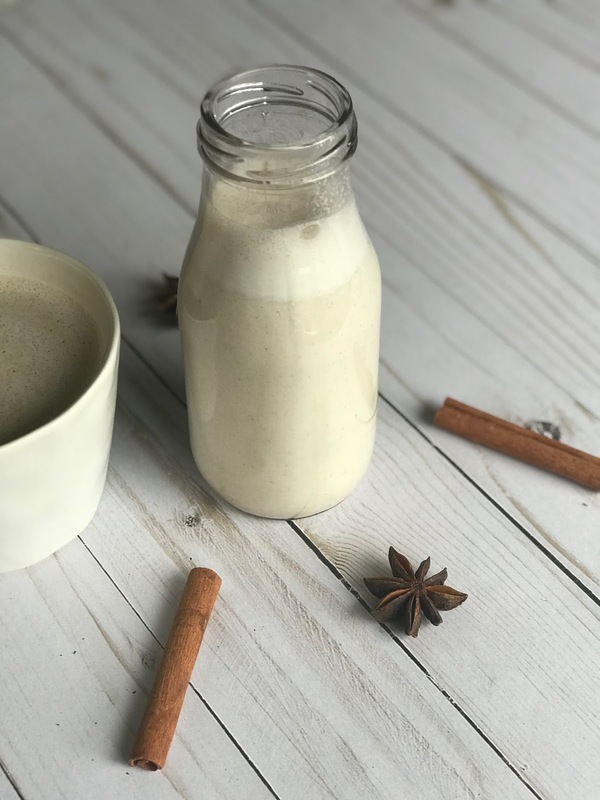 My favorite nut milk has to be cashew milk! It is just so creamy and satisfying! It also tends to be much thicker than other nut milks. Can we just pause for a second and talk about how disgusting the term "nut milk" is!?! I mean come on... its the worst! I live for my morning cup of coffee and I have to make sure it is perfect! 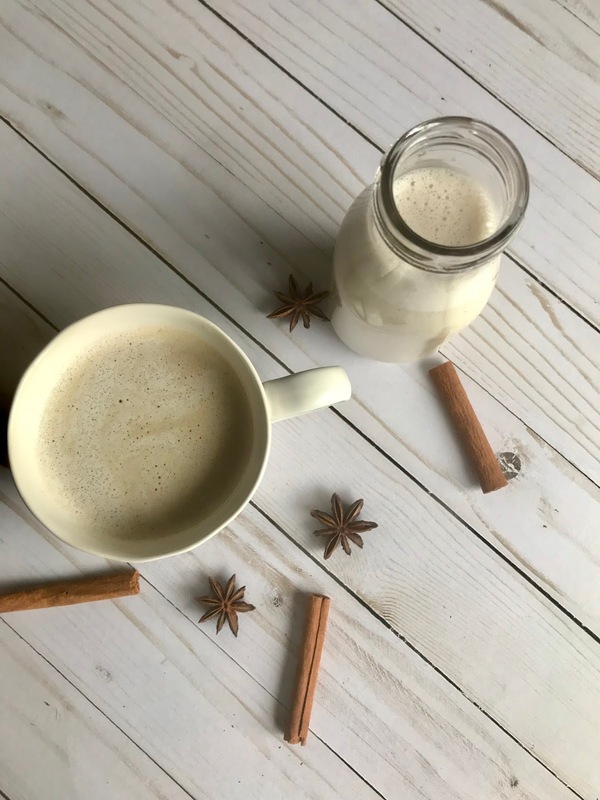 This Chai Spice Cashew Milk Coffee Creamer really does the trick and is so perfect for this cold weather! Soak Cashews in a bowl of water overnight. Rinse Cashews the next morning and put in the blender with all other ingredients. Blend until smooth. Strain half of the mixture through a nut milk bag. I use Ellie's Best Nut Milk Bag and I love it! You can strain all of it if you want it really smooth but I like it thick and kinda pulpy so I only do half. Store in the refrigerator in an airtight container/jar! OMG literally grabbing all the ingredients this weekend! Please let me know what you think! Tag us on Insta if you end up making it! This sounds AMAZING!! Definitely need to try this ASAP! this sounds delicious !!! i've been trying to get away from milk & creamers, so i'll be definitely making this over the weekend.